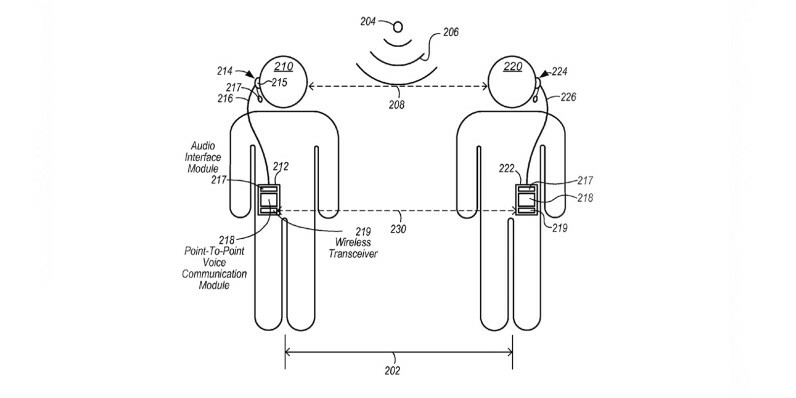 If Apple’s latest patent is anything to go by, it appears that the company wants to create a new type of headphone designed for communication with people in the same area, using ad-hoc wireless networks. The patent describes headphones with Lightning connectors to plug into your mobile device and allow you to talk to people equipped with similar gear in close proximity over Bluetooth or Wi-Fi connections, walkie-talkie style. That means you won’t have to call them to start talking, or even rely on a cellular connection. Some versions of the proposed device design detail an interface for your phone to help you find people you can connect directly to and begin chatting instantly. Using your phone in tandem with the headphones could also allow you access to features like encrypted conversations, group calls and ambient noise filtering so that you can communicate easily even in loud environments. It’s in some ways similar to the Orion Onyx (formerly OnBeep), a wearable walkie-talkie that features a simplified one-button design to let you talk to people with the press of a button. Of course, it’s only a patent at this point and it isn’t clear how Apple might use this technology. However, it does hint at a possibility of future iPhones ditching the 3.5mm audio jack in favor of the Lightning connector for headphones.